The Book Cellar Book Group meets to discuss The Poisoner's Handbook by Deborah Blum. Deborah Blum , The Poisoner's Handbook: Murder and the Birth of Forensic Medicine in Jazz Age New York. 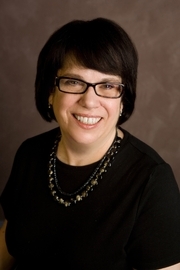 Guest Speaker: Deborah Blum, the author of The Poisoner's HandbookMurder and the Birth of Forensic Medicine in Jazz Age New York﻿ Pulitzer Prize winner Deborah Blum is a professor of science journalism at the University of Wisconsin. She worked as a newspaper science writer for twenty years, winning the Pulitzer in 1992 for her writing about primate research, which she turned into a book, The Monkey Wars (Oxford, 1994). Deborah Blum discusses The Poisoner's Handbook: Murder and the Birth of Forensic Medicine in Jazz Age New York. Deborah Blum reads from How to Write a Poisoner's Handbook. Deborah Blum is currently considered a "single author." If one or more works are by a distinct, homonymous authors, go ahead and split the author. Deborah Blum is composed of 3 names. You can examine and separate out names.